Going out is all well and good, but there are nights when everyone wants something a bit more relaxed and directed than simply drinking. This is why pool was invented. Whether you’re planning on channeling your inner Minnesota Fats, or simply want a quiet evening’s enjoyment with friends, nachos, and a companionable beer, one of New York’s many fine billiards establishments has a home for you. By Chris Kelly. This Upper West side institution has migrated to glitzy new digs near Union Square, complete with an honest-to-god velvet rope in front of the door. Oak, oriental rugs, and rich Corinthian leather abound around a fully-stocked bar complete with bottle service and prices to match – $5.50 per person per hour on weekdays spikes to $8.50 on weekend nights. Still, despite the armchairs-and-oil-paintings aesthetic, Amsterdam is no tourist trap, and is often cited as “the only game in town” for serious players and the few remaining sharks. The hall hosts several leagues on its twenty-six tables, including some for beginners, and also offers lessons from staff pros. 10 E 21st St., between Broadway and 5th Ave. This new kid on the block is channeling some seriously old spirit, and may become a contender with Amsterdam Billiards in the field of serious pool. 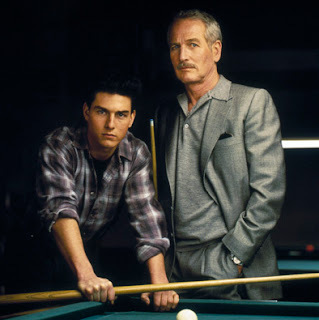 Announcing its mission as “the reintroduction of a pool hall into the heart of historic district of Manhattan”, the basement-situated Society attempts to connect to pool’s romantic past, channeling the spirit of Paul Newman over that of Tom Cruise. In keeping with this philosophy, it’s designed with pool junkies in mind, complete with all-new equipment, a pro shop for cue repair, and several APA-regulation “bar tables”, while still leaving room for a full bar and excellent food. Rates are similar to Amsterdam Billiards, fluctuating between $5 and $10 per player per hour depending on time of day and day of the week. As comfortable as its namesake, this Christopher Street cave has “the ratty psychedelic feel of a saltwater aquarium circa 1976”, as New York Magazine puts it. 10 crisp pool tables share space with ping-pong, foosball, shuffleboard and pretty much every other analog game ever to bedevil the minds of 13-year-old boys. Pool is cheap, at $5.40 per person per hour on weekdays and $6.60 on weekends, calculated at a bizarre cents-per-minute rate. The chillout pit behind the bar is the perfect place for a semi-fierce game of Scrabble, sprawled out on a friendly herd of brokedown couches rescued from dead rec rooms of the Carter administration. Jazz combos take the stage every night around 7 pm for a jam session that lasts till four, occasionally sharing the mike with doo-wop, gospel, Latin, and chamber music groups. $3 cover, beer and wine only. Entering Space Billiard Café is a vaguely Matrix-like experience in which a shaky, death-defying elevator ride to the top of a nondescript Koreatown office building reveals a quiet, well-lit pool hall totally unsuspected by anybody walking below. Here, serious men focused on the game shoot billiards and four-ball 24 hours a day under flatscreen TVs, as piped techno and K-pop play softly in the background. Cheap, well-maintained tables go for $17 an hour for up to 4 people and $2 for each additional guest, a fee that also garners free hot tea and “optional” crocs in the radioactive color of your choice. Use them to pad to the bar for $5 beers, imported Asian chips, and an impressive hoard of ramen instant noodles. This Astoria neighborhood gem offers a daytime treat for the Queens crowd – free pool with drinks prior to 9 pm. After that, tables still run at a reasonable $10 an hour for two people, with $3 added for each extra guest. Major claim to fame? Diversity of attractions – Break boasts representatives of essentially every drinking-and-launching-tiny-projectiles game the human mind has devised. Ping-pong, air hockey, skee ball, foosball, mini-basketball bounce and rattle alongside classic arcade games like Big Buck Hunter, and, wonder of wonders, Ms. Pac-Man. "It's a classic hall that has been around forever." "The best tables in the area, cheap rates, a great atmosphere with cable TV, and the best pool players around. Tables have smallest pockets allowed by regulation... if you can play well here, you can play well anywhere." "Biggest and cleanest pool room in central New York. Has 20 9-foot tables and 6 bar tables, plus darts, ping pong, air hockey and video games. Also has a fully stocked bar and restaurant, Karaoke on weekends, and live entertainment." "The first billiard hall in New York to host black light billiards, ping pong and air hockey. It's a family-oriented business that is immaculately kept. You'll find players of all levels, from recreational to very knowledgeable." "This pool room represents what pool is all about. Victorian style billiard hall with 16 Gold Crowns, 1 billiard and 1 6x12 snooker table. Doc's is a "player's" room for those who love the game and want a peaceful place to play. Smoking and non-smoking parlors, plus cafe and bar." "14 Brunswick Crowns, 2 billiard tables, and 1 bar table. Great food, beer and wine." "Good well-maintained equipment - 8 Diamond Tables, 8 Gold Crowns, and a billiards table. Lots of space, so no one gets in your way, and so clean you can eat off the floor. Good competition, plenty of action, and a knowledgeable staff." "Has large tables and a lot of history... hundreds of old B&W photos of pool players since the turn of the century. Still has its original metal ceiling." "Nice clean place with very friendly staff. 21 pool tables, all in excellent condition." "A great place to go to if you're serious about pool. Has great players -- some ex-pro and semi-pros hang out there. Friendly atmosphere." "Big place with completely separate smoking room. Nice people, quality tables, good loud music, and low prices. Action found if looking. Carl, the owner, is a very nice person and player." "Has a Soho look and feel, and attracts a great crowd. Excellent food without Manhattan prices." "It's one of the classiest pool rooms in western NY. It has 12 regulation pool tables and 3 8-foot tables. The staff are wonderfully knowledgeable. It's just an all around nice room." "A very clean and player friendly pool room, full of class and character. The tables are well-maintained Olhausens with the finest cloth. Tom, the owner, is very receptive to all his patrons and is willing to show players the fundamentals of the game and beyond." "Has 13 A.E.Schmidt pool tables covered in Simonis 760 felt and Viking rental cues. Balls are polished regularly and owners are very knowledgable about pool. Favorite games of regulars are Straight Pool and 9-Ball." "The ideal place to play pool. It has a nice environment where you can meet lots of people. When you go there, you feel like you're surrounded by family." "Clean and not usually crowded. Costs only $5 per person from opening to 7:00 pm every day." "Classy upscale pool room with 25 Brunswick Gold Crowns and a gorgeous regulation snooker table. It also has a cafe area with a very 'Manhattan' feel." 612 S Oyster Bay Rd. "A nice place to play....lots of golf games. Like most neighborhood joints, it takes awhile to work your way in but there's a nice crowd there. Very clean and well run room, with excellent equipment." "No smoking, and very well-maintained tables. It's just a really cool place to hang out and have fun." "A great place to play. 26 9-foot tables and 2 carom tables. It gets a huge regular crowd from "A" players all the way down the spectrum. Great tables and always clean. This has gotta be the biggest and best billiard room on Long Island." "Beer and wine, private non-smoking room with 4 Brunswick Centennial tables, plus the most knowledgeable staff and best players in NY. Definitely the best place to play on the island." "By far the classiest place around. It is clean, spacious, and affordable. You will not be hounded by know-it-all pool sharks. The environment is relaxed and alcohol free. The people who work there are friendly, knowledgeable and always willing to assist. They also have a great snack bar. Great atmosphere and beautiful tables make it the best room in Western New York." "Has 9-foot Murray tables, arcade games, music and a private room. Non-smoking, and serves beer, wine and snacks." "Very clean, classy, place with 5 Diamond 7-foot tables, a full bar and great decor ." "A Victorian style room that's designed for players who enjoy the game. 17 Gold Crowns, separate smoking and non-smoking rooms, and a private room with 2 tables for private lessons." "Service is great, the place is clean and the rates are low. There is plenty of parking and it is safe." "Non-smoking. Well-maintained and a very friendly atmosphere." "Well-maintained tables, skilled players and very reasonable rates. Atmosphere is not chic, but the equipment is good and the people are fun. Serves some snacks and very basic food, plus has a bar." "36 well-maintained tables (pool and snooker), video games, ping pong and food. Friendly staff, and a fabulous atmosphere for beginner to pro. A beautiful place. Great for a date, out with friends, with the family, or maybe have a birthday party there." "Not the classiest place in the city, and no coffee or food, but the price just can't be beat." "Named 'Best Pool Hall in NY' by New York Magazine. 28 well maintained tables, set spaciously apart in a fun atmosphere. Cafe serves gourmet snacks as well as all kind of beers and beverages. Staff and service is wonderful, and the music is great." "Nice environment. 32 tables, including 1 billiard table. Full size game room. Beer is available for those who drink." "Great ambience and friendly people." "The cheapest and safest pool hall in Manhattan. Live Jazz, beer and food." "2 floors of pool tables and video games. Open late and has a nice family environment." "A comfortable atmosphere with soft color walls, which makes for better viewing of your game. The music is never too loud, and the employees know everything about the game." "Family-owned basement poolroom doesn't have the best tables in New York, but it has a friendly atmosphere, some good players, and cheap drinks." "The best environment I've seen. Very friendly, and the workers there treat everyone with respect." "A restaurant, bar and billiards place. Almost the only place in Manhattan where you can play snooker." "Clean place with full service bar. Good action and lots of laughs." "This pool room has been under the same family ownership for at least 50 years. Tables are old Brunswicks, but are well taken care of, and the rates are cheaper than anyplace else around. " "This pool room is very friendly and has a high class of people. Not a lot of ball bangers. Very knowledgeable staff, food music and just a fun place to be. 13 tables, 4 dart boards, 1 bubble hockey and a few video games." "Has smoking and non-smoking sections. Very friendly service... the owner helped teach Tom Cruise how to play pool for the movie The Color of Money." "Has Gold Crowns with Simonis cloth, perfectly maintained. Good bar, and action, action, action." "An excellent pool room where everyone is friendly and knowledgeable about the art of pool. People are always looking for some action." "Cheap food, about 20 pretty good tables, all skill levels represented. More a restaurant than a pool hall." "Awesome pool tables and a cool jukebox." "Has 18 Gold Crowns, all with Simonis. Stop down and play owner Phil Johnson some 1 pocket on the shimmed table. 2 3-C tables." "Has 12 well-maintained tables, great food and a nice staff. Always some good action." "Good tables! Decent house cues, nice atmosphere, good people, nice neighborhood... has billiards table and a snooker table." "The people are of the highest caliber. Plenty of recreational players, as well as some looking for action." "There's quite a few knowledgeable players. You can always catch a good match to watch, and you can usually get a good tip to help your game. The owner is a top player and the pool hall is immaculate." "This place is just a great place to shoot pool. Extremely friendly crowd and a nice caliber of player flock to this establishment in Long Island. Nice tables, and a nice place to play." "The best room on Staten Island." "Absolutely the cleanest pool room I have ever seen. The people who work there are friendly and very helpful."" "A comfortable place to play pool. Reasonable rates, and it's open late. The room has some good players, and there's lots of action. Also has a lunch counter, with charbroiled burgers and daily specials." "Clean place, with 2 full bars, 10 Gold Crown tables and great people." "The owner and manager are extremely helpful. They give plenty of coaching and are always willing to answer questions." "Comfortable and friendly. Good place to relax or shoot a competitive game. They have extremely rare Raschig balls which hit incredibly well. 17 original Gold Crowns and 2 heated billiard tables. Great arcade and knowledgeable staff add to the enjoyment. $1.50 beers all afternoon doesn't hurt either." "Great pool hall. Has decent tables with great atmosphere resembling that of a true, smoky pool hall. Very cheap and friendly service." "One of the best pool rooms in the state of NY. Casual, relaxed, adult atmosphere, and very clean. Has 33 Brunswick Gold Crown III tables and 3 heated Verhoeven billiard tables. Also has 25-table cafe area with chess, checkers, backgammon and full kitchen. It's a great atmosphere to play in, there's plenty of room, and it's not crowded. Can get awfully hot, and sometimes smoky, though." "Knowledgeable and friendly staff. Has dart boards, too." "20 very well-maintained Gold Crown tables. Great place for friends and the serious player. Great action all the time." "Has 26 Brunswick tables and a private room with its own TV and radio. There are plenty of neon lights and leather couches. There is a cafe and they sell cigars, so the crowd is varied. It is fully carpeted and has a great look. One of the best in NY."